This is the last of four March Madness stories involving those with Chattanooga ties. Since his days as a basketball star at McCallie School in the late ‘70s, Curtis Shaw always imagined his career path would lead him into coaching. He just never envisioned the 30-year detour that would carry him to the forefront of college basketball’s center stage along the way. Over the course of 21 years officiating men’s basketball at the Division I level, Shaw worked seven Final Fours among the 19 seasons being a part of the NCAA’s March Madness. It was a journey that began as a way to earn his way through college and evolved into a passion that connected him with the royalty of college basketball. 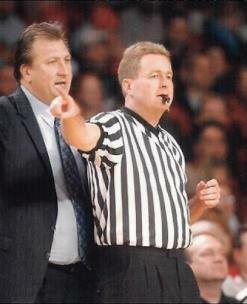 Shaw retired from officiating in 2010 after calling the Final Four semifinal contest between Duke and West Virginia, assuming the role of supervisor of officials for the Big 12 Conference. He has since added Conference USA, the Ohio Valley Conference, the Southland Conference and the Missouri Valley Conference to his oversight duties. 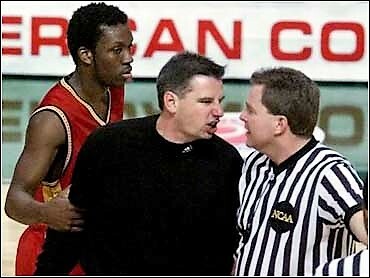 Shaw, who resides in Jasper, Indiana, never imagined his passion for officiating would lead to such memorable moments. The magnitude of March Madness led to heightened emotions, and Shaw enjoyed the opportunity to officiate teams he normally didn’t see during the regular season while still dealing with some touchy moments. “Coaches in the tournament tend to be on better behavior than they are during the regular season, but there were always a couple that were hard to deal with,” Shaw said. “(Iowa State coach) Larry Eustachy could be challenging, and we threw him out in the regionals after he blew the lead against Michigan State that became a big media spectacle. Trent Johnson when he was at Stanford wound up getting thrown out, too. Getting to know some of the stars of the college game was also a benefit that Shaw came to cherish. “I got to referee and know so many great players that it carried over. When Dwyane Wade was at Marquette he was relatively unknown, and he’s now a superstar. I had a lot of their games over the years and I’d see him from time to time while he’s in the NBA and we still talk about games from his college days. Shaw had the opportunity to get to know Tennessee coach Rick Barnes when he was in charge of Texas’ program. He’s not surprised by the success Barnes has enjoyed in resurrecting the Vols. Having agreed to move to a supervisor role the following year prior to the 2009-10 season, Shaw was able to end his lengthy tenure as one of the game’s most respected officials in a memorable fashion. Shaw, who is a member of the Greater Chattanooga Sports Hall of Fame, believes that officiating has become more challenging since his days on the court. The criticism of officials disrupting the flow of games by constantly verifying their calls through instant replay creates a dilemma for today’s referees that Shaw doesn’t envy. 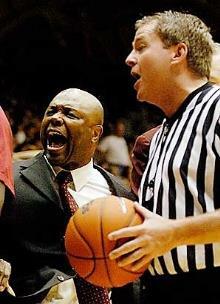 “When you’re refereeing, you’re calling the game in real time,” Shaw said. “Every call these days is then scrutinized on social media and that’s what takes so long at the monitor. The last thing you want is to be on SportsCenter later that night. I wish we’d done things differently, but it’s where we are these days. Despite the challenges referees face in today’s environment, Shaw still loves coaching the next generation of officials. In fact, his son, Chase, has decided to follow in his father’s footsteps.